Nearly every individual comes across an injury in their lifetime that requires more than what the ususal ice pack and rest can fix. That's where Physical Therapists come in! Through intense training and expertese we help restore you back to 100% With various techniques, exercises and strategies, anyone can be helped by us. Anyone we decides to see a Physical Therapist is always in good hands. 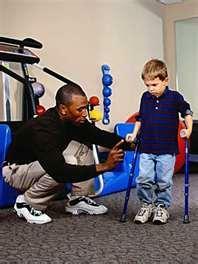 Here is some more information about Physical Therapists jobs and their salaries.